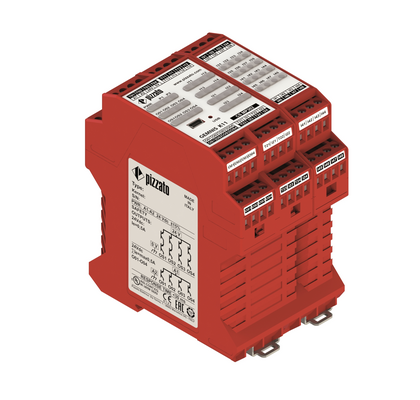 Pizzato Elettrica GEMNIS series modules are programmable safety devices, which allow several safety functions to be carried out simultaneously. The redundant design and the self-monitoring of these multi-functional devices allow a high safety level of up to SIL3 acc. to EN 62061, category 4 and PLe acc. to EN ISO 13849-1 to be achieved. Every module is equipped with an integrated USB port via which programming and debugging can be performed with GEMNIS Studio. 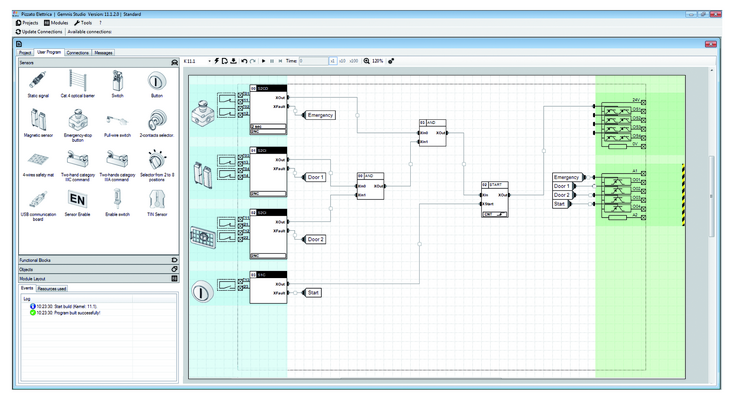 GEMNIS Studio, a software designed and developed entirely by Pizzato Elettrica, is a graphic development environment for the creation, simulation and debugging of programs that are uploaded to the corresponding modules of the GEMNIS family. The GEMNIS Studio software has been designed with the objective of making GEMNIS series module operation as immediate and visual as possible. The “Desktop” was created with this objective in mind. It allows the user to intuitively view the behaviour of the project currently being developed as well as all actions that the application program will execute after being loaded in the module. This is the reason we have made room for graphical object representations, of the physical characteristics of the module in use and immediate interaction, by means of simulation, with the created program. GEMNIS Studio allows you to check correct application program operation prior to sending it to the module via the simulation function. Finally, GEMNIS Studio allows you to carry out monitoring and detection operations, and to graphically represent the state of an active operational device in real time. The installation package for GEMNIS Studio can be downloaded free of charge from www.gemnis.com. You can also view a number of tutorial videos there and download the instruction manual.